For the seventh year, Made in America will return to the Benjamin Franklin Parkway. The Jay-Z curated, two-day music festival will take place over Labor Day weekend. Hip-hop, pop, R&B and EDM artists are slated to perform, including headliners Nicki Minaj, Post Malone and Meek Mill. • Taking place Saturday, Sept. 1, and Sunday, Sept. 2. • It's a rain or shine event. • The festival takes over the Benjamin Franklin Parkway, with many streets surrounding the area closed off to traffic. • Public transportation is the optimal way to get to the festival. You can map your route through SEPTA's website. Nicki Minaj, who released her fourth studio album "Queen" this month, is one of this year's headliners, along with breakout artist Post Malone. His hit "Rockstar" won Song of the Year at the 2018 MTV Video Music Awards on Monday night. Also headlining is Philadelphia native Meek Mill. It will be the rapper's first hometown show since he was released from prison in April, so there's a good chance he'll perform the song "Dreams and Nightmares," which the Philadelphia Eagles embraced as their anthem on their journey to winning Super Bowl LII. Made in America also recently announced that Pulitzer Prize-winning rapper Kendrick Lamar would be performing. Other big names set to take the stage include Diplo, Zedd, Janelle Monáe, Alessia Cara, Miguel, Pusha T, Fat Joe and Ty Dolla $ign. 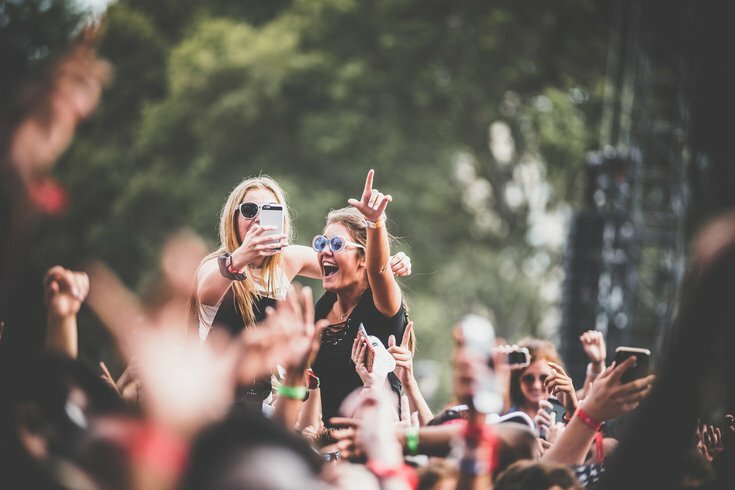 Check out the full Made in America lineup here and check out the schedule below. Tickets are available online for the festival. A two-day weekend pass costs $175. Single day tickets are also now available here. There's also an option to splurge for a two-day VIP ticket, which costs $750. Perks include an air conditioned lounge, a viewing area by the main stage, complimentary wi-fi charging stations and a merchandise pack. In late July, Made in America hosted a culinary competition at the Fillmore. More than 60 candidates competed for a coveted spot as a food vendor at this year's festival. The 21-plus crowd will be able to order beer and cocktails at bars and beer gardens within the festival footprint. This year, there will be nine different D’USSÉ cocktails: D’USSÉ and Lemonade, D’USSÉ Long Island Iced Tea, D’USSÉ Watermelon Cooler, D’USSÉ Mojito, D’USSÉ Strawberry Lemonade, D’USSÉ Painkiller, D’USSÉ Sunray, D’USSÉ The Coco and D’USSÉ Peachtree. The cognac brand is part-owned by Jay-Z. For attendees to rehydrate, there will be free, filtered water stations throughout the Parkway as well. Check out these photos of what festival-goers wore last year for inspiration.